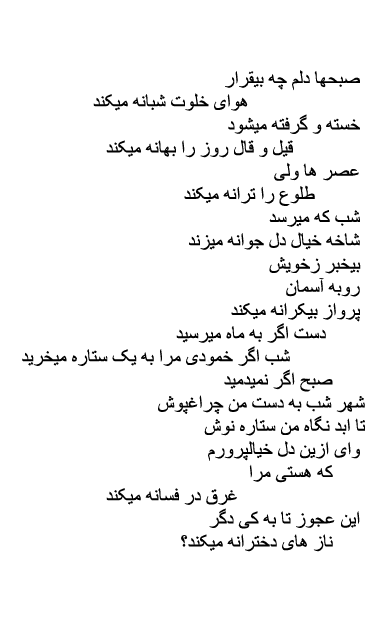 Four poems by Afghan poet Nadia Anjuman, translated from Dari by Diana Arterian and Marina Omar. Nadia Anjuman’s poetry startles. When considered in conjunction with the knowledge of her young age, it provokes something deeper, less easily pinned down. Her poems are in turns playful, hopeful, devout, despondent. She leans on imagery of the garden and the stars, as well as the body. Despite the difficulty of her life and the content of the poems, one of her most remarkable and consistent habits is her hopefulness. Many of Anjuman’s pieces show her coaxing herself into optimism and rationality. As a teenager in Herat, Nadia Anjuman attended the Golden Needle School. Under the guise of practicing needlepoint (a pastime approved by the Taliban government), a group of women gathered to meet and discuss literature with local professors. In 2001, with Afghanistan’s liberation from the Taliban, Anjuman began attending Herat University and soon published a book of poetry entitled Gul-e-dodi (Dark Flower). In Gul-e-dodi, Anjuman portrayed the difficult realities of her life and thus her generation of Afghani women, those with few rights who had been raised during the reign of a violent and oppressive governmental power. Her readership was not limited to Afghanistan—Gul-e-dodi found readers in Iran, Pakistan, and beyond. As a result of her writing, Anjuman was awarded scholarships and fellowships. 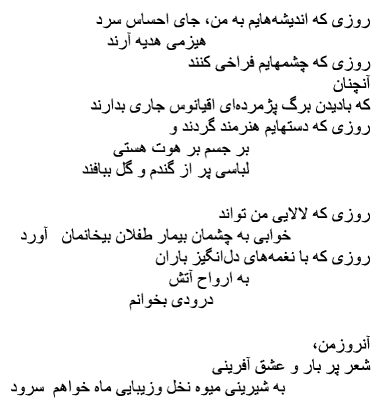 She continued to write poetry despite the objections of her husband and his family, and she was set to publish a second volume of poetry in 2006 entitled Yek Sàbad Délhoreh (An Abundance of Worry). Anjuman was killed in November of 2005 at the age of twenty-five. While the particulars of her death remain unclear, it appears that it was the result of a physical struggle between Anjuman and her husband. 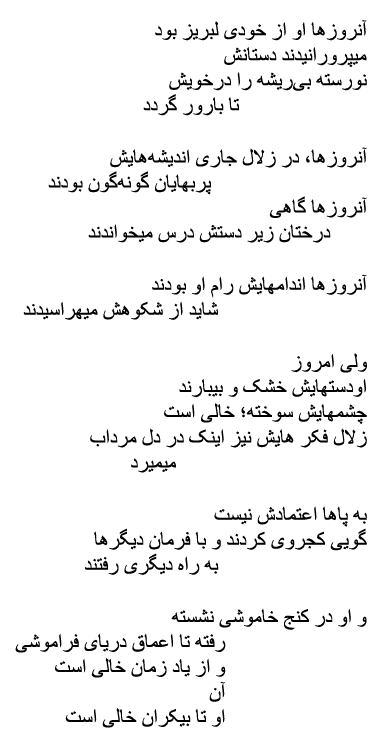 In 2007, Anjuman’s complete works (entitled Divâne Sorudehâye Nadia Anjoman: The Book of Poems of Nadia Anjuman) were published by the Iranian Burnt Books Foundation. Gul-e-dodi has been reprinted three times and sold over three thousand copies. 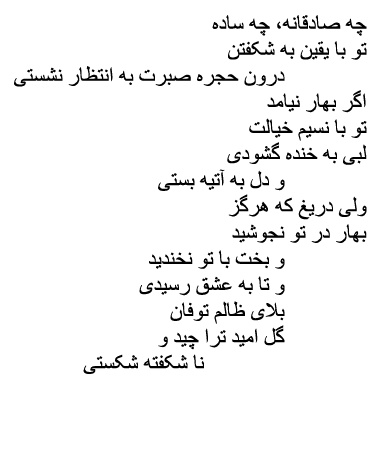 As I continue to work on translating Anjuman’s poems—sending them out for publication, applying for grants, talking to people about her—I hope to avoid trapping her in the common tropes of the young genius, the dead woman writer, and/or the oppressed Afghani woman. The details of her life do not eclipse the brilliance of her verse.